Seaside Vacations is excited to partner with Kitty Hawk Kites to offer its guests special deals on activities / adventures provided by Kitty Hawk Kites. With over 40 years of experience in recreation services on the Outer Banks, Kitty Hawk Kites can enhance your Outer Banks experience with fun and unique experiences. Plan your Outer Banks experience by choosing from the activities / adventures listed below. Learn about hang gliding in a 45 minute Ground School program and then take 5 training flights in your first lesson! 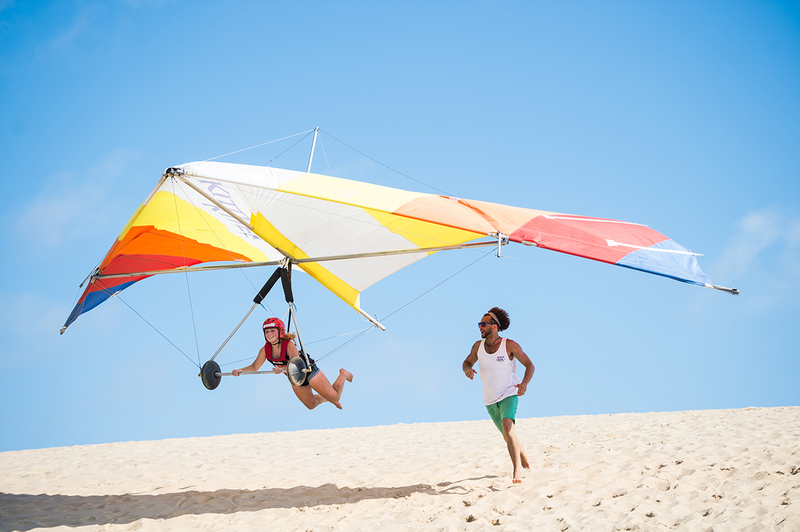 The soft sand dunes of Jockey's Ridge State Park and consistent, clean winds of the Outer Banks offer the perfect training facility for introductory lessons virtually all year long. Ages 4 years old and up can fly! Kid's Dune Lesson is designed for students that weigh less than 75 lbs. 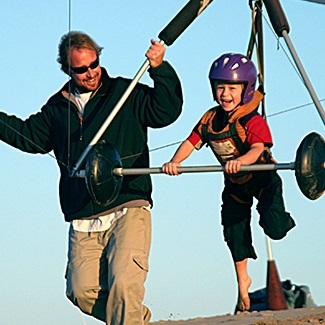 Each Kid will be taught in the same class as any other adult participants (side by side on the sand dunes), but will usually be organized into a a different group on the dune to put them in a glider specific to their weight. This lesson may be scheduled online during the months of June, July & August. Since we have to add an additional instructor for this lesson, it is set for designated times during the day in the summer months. We do offer this lesson throughout the entire year, but please call us to schedule this lesson any month other than June, July or August. Participants should be no younger than 4 years old. The student and instructor are hooked into the glider together. The glider is designed specifically for tandems with a larger wing area for more lift and tricycle landing gear to simplify take offs and landings. An ultralight plane tows you to altitude, the glider is released, then you and your instructor glide back to the airport where you land like a plane. No prior hang gliding experience necessary! Smoother air conditions are typical in the morning (versus warmer midday temperatures), so we recommend earlier scheduling. As long as conditions prevail we will fly until the early afternoon. Since we fly one person at a time, you should anticipate approximately 1-2 hours for this activity from check-in to execution of your scheduled flight depending on the number of people in your party. Experience another world as you kayak through this amber creek under a canopy of Live Oak and Red Maples as you discover the Maritime Forest- one of only eight in the world. While paddling you might see wildlife such as turtles, snakes, as well as birds such as: herons, egrets, woodpeckers, kingfishers and ducks. This kayak tour is great for beginners and also on windy days, due to the shelter provided by the tall trees of the forest. Location: 6150 North Croatan Hwy. A new and exciting tour location, this tour launches from the Sanderling Resort and Spa, located just north of the Village of Duck. The tour will paddle around the salt marsh islands and flatwaters of the Currituck Sound. This tour is great for beginner kayakers. Wind your way with us through the Cape Hatteras National Seashore's north marshes.As they guide you through a maze of canals and creeks, you'll discover the abundance of life found here in these estuarine ecosystems. Sunset tours are available, so book today! Yellow Kitty Hawk Kites building on the causeway. Ponder the fate of the lost colony as you kayak through the marshy canals of Roanoke Island. The tour leaves from the Historic Manteo Waterfront and has excellent photo opportunities of the Elizabeth II (a replica of a 16th century sailing ship) and downtown Manteo. Once paddlers reach more open water, they'll experience a great view across the sound of Jockey's Ridge the largest sand dune on the east coast. Location: 307 Queen Elizabeth St.
Kayak along the peaceful salt marshes of the Cape Hatteras National Seashore. Commonly referred to as a birder's paradise, is home to over 265 different bird species. Search for ospreys, herons, egrets, ibis, terns, pelicans, rails, skimmers, wrens and warbles that take refuge on the Outer Banks. Follow your kayak guide in and out of several shallow coves and canals, where the birds feed and seek refuge. With the mainland just out of sight over the horizon, this is one of the few places on the east coast to kayak and watch the sun set right over the water. Experience the ultimate in luxury and leisure: Beach Set Up Services! 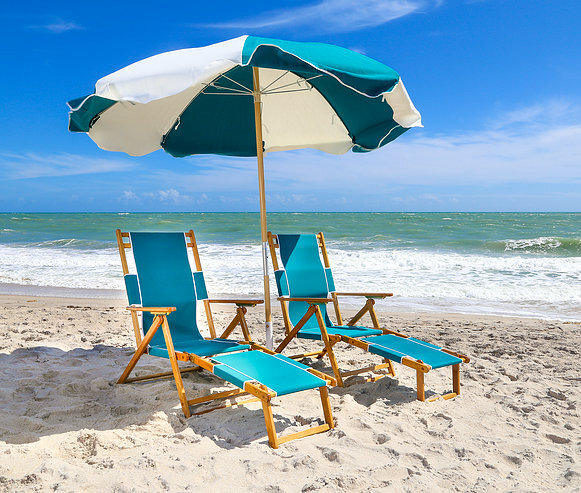 We now offer customizable Beach Equipment Packages to help you seize the day at the beach. 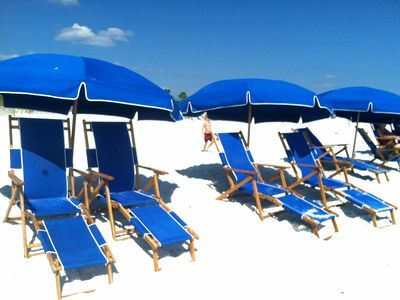 Each day of your vacation with us, we will set up and take down a set of chairs and shade tents at the beach for you. 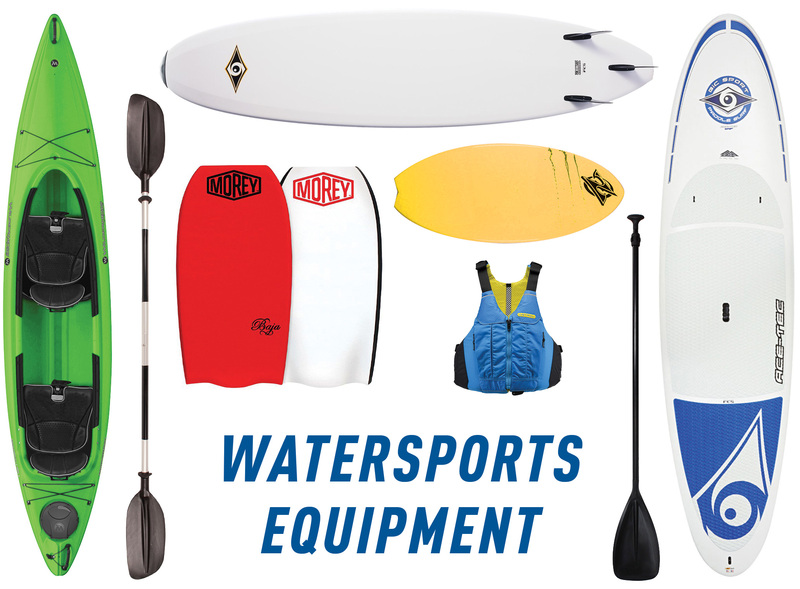 If you would like to order additional watersports equipment, choose whatever items you like from our wide selection of kayaks, surfboards, stand up paddleboards, skimboards or boogie boards. This equipment will be delivered to your beach house on the day of your arrival and picked up on the day of your departure. We'll setup and break down the set of chairs and shade tents at the beach for you Monday - Friday by 9 AM daily. As per beach ordinance regulations, equipment cannot stay on the beach overnight; as such we will pick up equipment at 5 PM daily. Want to relax in comfort and style while at the beach? Let us provide you with all the gear you need to make your day at the beach a winner. We offer beach chairs, umbrellas, shade tents, corn hole boards, horse shoes, water proof HD video cameras, travel hammocks, and more! Free delivery makes this deal even sweeter! This is just the rental of the Beach Equipment and DOES NOT include daily Set Up at the beach. For our daily Beach Set Up services of chairs, tents and umbrellas, please check out our Beach Set Up Services below. Want to make the most of your time at the beach this summer? We can help with our flotilla of single and double Ocean Kayaks for weekly rentals. We also have a full quiver of surfboards, stand up paddleboards (for adults and kids), boogie boards, and skimboards,. We offer complimentary delivery on all weekly rentals that are PREBOOKED and can usually deliver the equipment to your door within a few hours of your order - right to your beach house. Rent some bicycles so you can enjoy bike rides with you and your family while visiting the beach! We have a full quiver of adult bicycles, youth bikes and also bikes with training wheels. You can even upgrade your bicycle rental with locks, baskets and cup holders. Take a memorable trip across the Currituck Sound to Sanctuary Vineyards in Jarvisburg, NC from our Duck Kitty Hawk Kites Store. Your cruise will lead you through the beautiful canals and historic hunting area of Dews Island just off the Currituck County mainland. You'll be personally escorted to Sanctuary Vineyards straight from the dock to taste and sample the fine locally grown and bottled NC wine.